Fun is guaranteed in the Stella McCartney Kids™ Honey Mini Dot Skirt. Stretch waistband in colorful rainbow print. Tulle overlay with confetti print throughout. Product measurements were taken using size 14 Plus (Big Kids). Please note that measurements may vary by size. 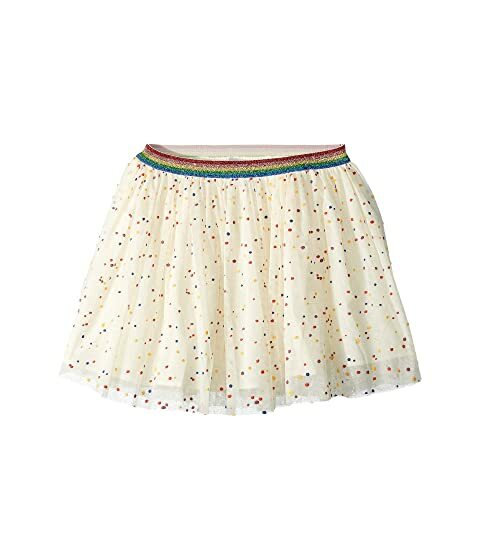 We can't currently find any similar items for the Honey Mini Dot Skirt (Toddler/Little Kids/Big Kids) by Stella McCartney Kids. Sorry!